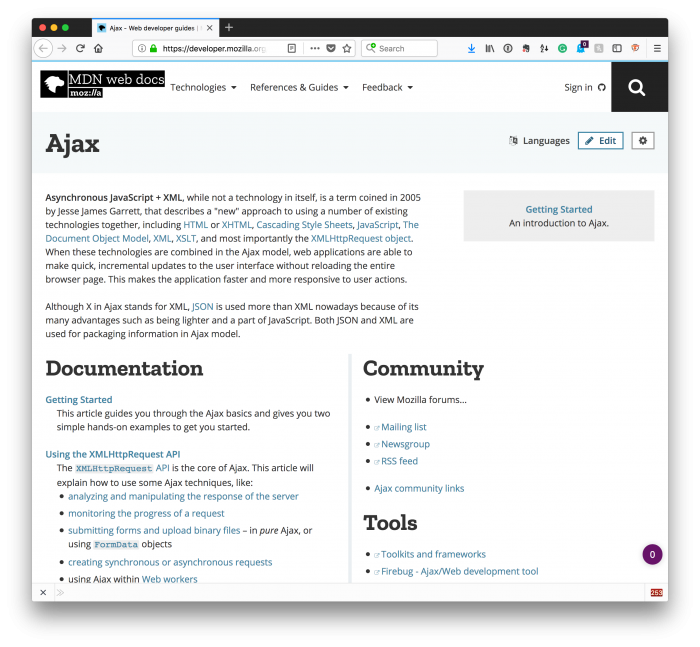 As per usual, since WordPress ships with jQuery, I’ll be using that; however, I also urge you – if you haven’t already – to look at Ajax in ES6 to get an idea as to how to do this natively. Anyway, the idea is this: Rather than setting up some interval, then use the built-in Ajax functions to evaluate the response properly. And only under certain conditions, trigger the function again. And each of these is meant to be run under certain conditions of which I’ll show in some code samples momentarily. If any of the above isn’t clear, please read the linked pages to see how this is achieved. But with that said, here’s the idea behind how you can manage repeated Ajax responses without setInterval. The first thing that you need to do is wrap the work you’re going to do in its own function. This means that you’re able to call it from anywhere else in the client-side application or even within the context of a timer (if absolutely needed). And, as you can see, I’ve gone ahead and stubbed out some of the functions I mentioned above. In the case of the success, you can use an anonymous function as the callback for the $.post function. The primary argument with which you should be concerned is the response argument. Typically, I like my response’s to have a success attribute and a failure attribute. This makes it easier to handle a case whenever the response completely successfully but the data that came back from the server wasn’t what I was expecting. This doesn’t necessarily mean there was a failure. It just means that whatever I was looking to retrieve wasn’t found. On the flipside, there are times in which something may fail. Why this happens can be for any number of reasons and to understand it properly, it’s worth inspecting the arguments the callback provides, namely the status and the error. I can’t give concrete examples here because each API is different; however, I recommend at least writing data out to the console so that you can understand what’s going on and how you can gracefully handle it at a code level. In this particular case, this function will fire regardless of if something was successful or not. This function isn’t something that you may always need (no pun intended), but it’s a solid option for, say, hiding a progress bar or displaying something on the UI. This can give the user a bit of feedback that the request has completed its work (again, regardless of failure or success). Finally, the done method is much like the success method but think of it as being intended to be called a second time. That means that after the response has come back from the server with the response argument, the same thing will fire again once everything else has completed. This gives you another chance to do anything you want to do with the response argument one more time before everything has completed. I rarely use this, but there have been times where I’ve wanted to remove an element only after something was done, all other processing was done, and the response was successful. Obviously, much of the code above is just for a demo on how to handle requests. But the purpose is to show how to handle said request without needing to set intervals to stack requests. Instead, you take advantage of pre-existing functions to, say, call the function again if there’s an error. 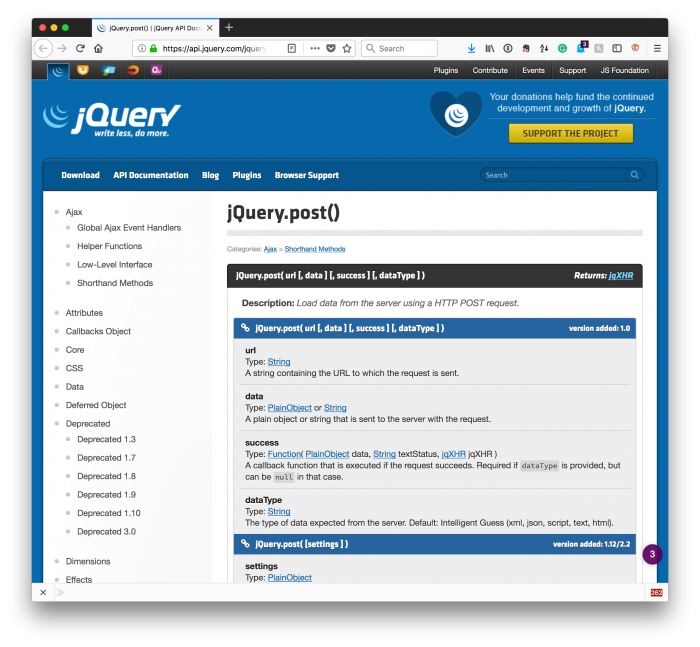 Anyway, this may be overkill for some, but for others who are used to using setInterval, it may be a much better way to manage Ajax requests that don’t stack up and fire the same request to the server when a response has already been managed. And ultimately, that’s the goal: Efficient code that retrieves the information we need without bogging down the third-party API or our own user’s browser.